IV: rain in coffee-growing countries, just like usual, right? I think you'd want something that instruments for picking up the habit of drinking coffee, rather simple variation in dosing. E.g., your college roommate was randomly assigned, and he / she drank coffee so you started doing the same. No? This study participants and nature of counting variables makes conclusions very difficult. The study participants were retired people aged 50-71 years old who had been exposed to many potential harmful exposures throughout one's lifetime. Coffee drinking in the participants also has strong correlations to unhealthy dietary habits such as increased alcohol binging, tobacco use and consumption of red meat. 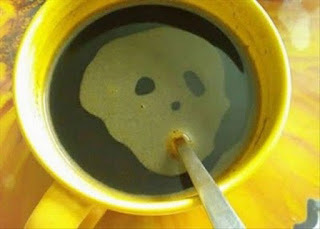 It therefore makes it very difficult to isolate the effects of coffee on the cause-specific mortality. If this isn't enough, the study is purely observational and so it does not reflect causality and is possible an association. The only positive outcome from this study is that there was limited to no evidence of a harmful effect of coffee intake and so this give assurance that coffee isn't killing us! The paper definitely has identification issues, but I think it's fairly open about it; hence "Association", right? The issue is I think this is one of those classic problems where clean identification really isn't easy, since we're talking about the cumulative effect of a lifetime habit. So it might be the case that at least at the population level this is as good as we're going to get with current data. Or not. Someone might think of a decent identification strategy (see the roommate thing above).